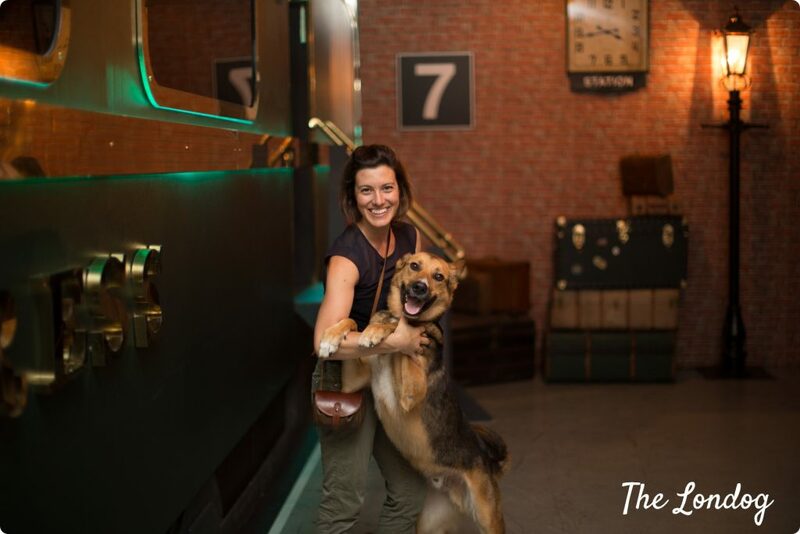 The dog-friendly London things to do landscape has just earned a new exciting addition: “The Murdér Express”, by Funicular Productions. 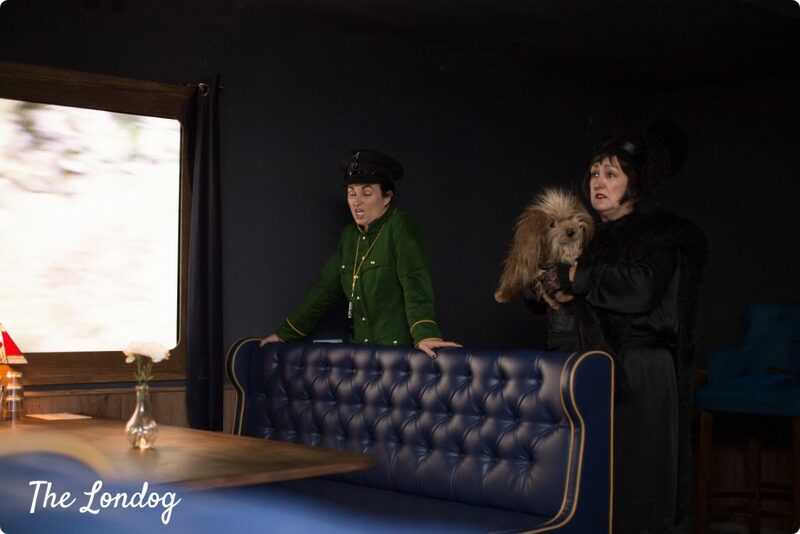 An immersive experience combining an acting performance and dining on board of a realistic fictional train in vibrant East London, which hosted their first special dog-friendly show on Sunday. 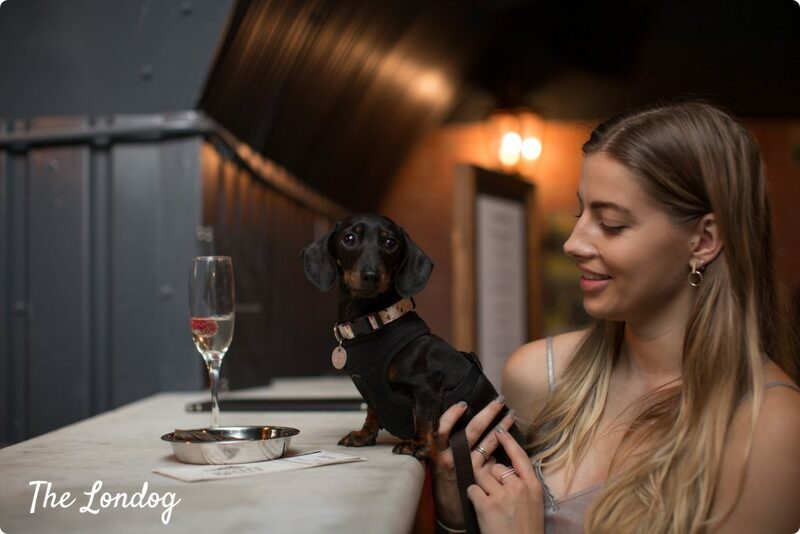 We went over to sniff it out: this it is all you need to know and why you should get on board the next dog-friendly experience! 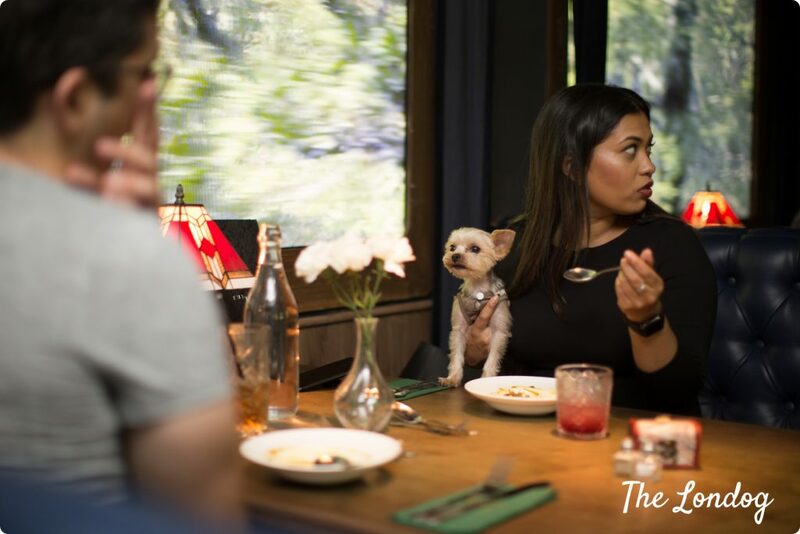 The Murdér Express combines an immersive performance – a mystery unravelling on board of the Murdér Express -, and fine dining, with a menu designed by BBC One’s MasterChef 2016 finalists, Billy and Jack. I learnt about it thanks to Marcel Le Corgi‘s maman, photographer Aurélie Four, who must be also thanked because they are the pioneers who nudged Funicular Productions to open selected shows to hounds. In fact, following their enquiry (after which a few more came), Funicular Productions was convinced to give it a try. “We thought ‘yeah why not’, especially as we have our own canine performer in a bespoke puppet made especially for us called ‘Fluffy’. 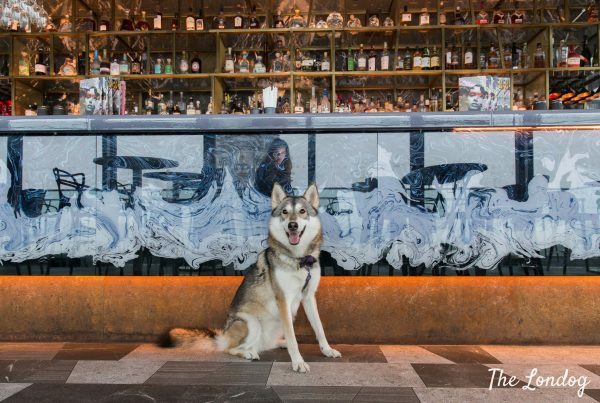 We thought it would be a good thing to do on a Sunday where owners can bring their dogs too and have a fun day out together,” explains Funicular’s Director and Writer Craig Wilkinson. But what is The Murdér Express all about? 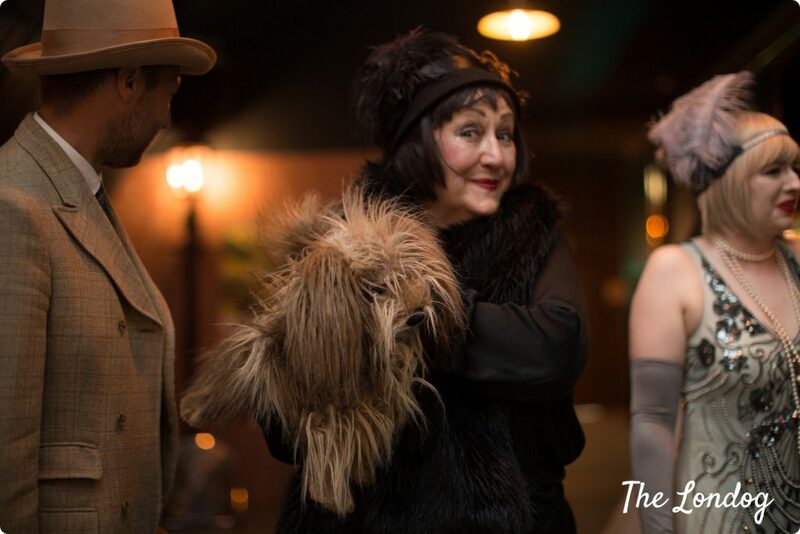 The story involves characters such as Frank, an East End costermonger, Tilley, a music hall star, Cliff, a local antique dealer, and Vera, a widow in search of adventure with her inseparable Fluffy, a canine performer in a bespoke puppet. And dinner is served with a first course soup, a main course (meat or vegetarian option), and apple tart as a dessert. 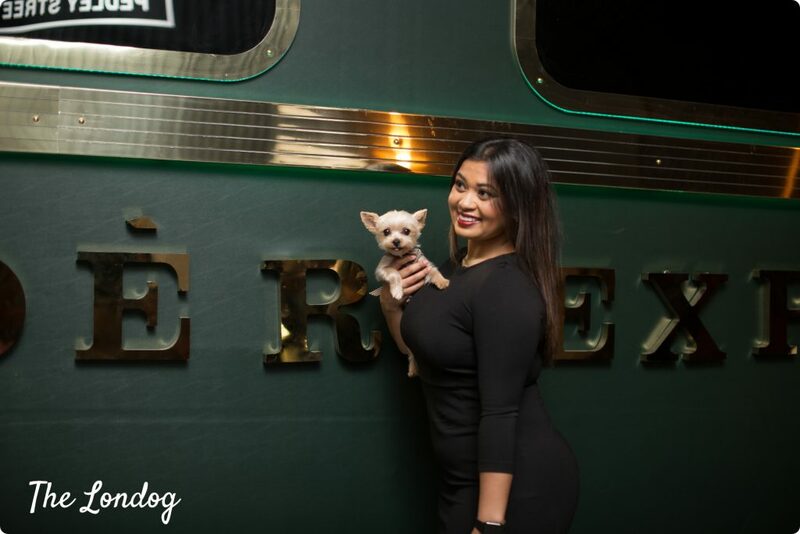 We were thrilled to be invited to the dog-friendly première of The Murdér Express experience, on Sunday 12th August, all thanks to Marcel Le Corgi’s maman. Entering Pedley Street Station in Bethnal Green, East London, my husband, Argo the dog and I were greeted at the Ticket Inspection desk, where we were handed our ticket and could leave our bags. One step into the door and we were thrown into the 20-30s’ atmosphere, by the furniture, the hosts’ attire and many little curated details. Just turned the corner from the ticket inspection desk and we found ourselves in the waiting area of the “station” and at the Seven Sins Bar – serving a special themed cocktail menu -. Soon to arrive were other four doggies and their humans attending the dog-friendly show: Bun and Pops the Sausages, Zizi the Yorkie and Chunki the Frenchie. 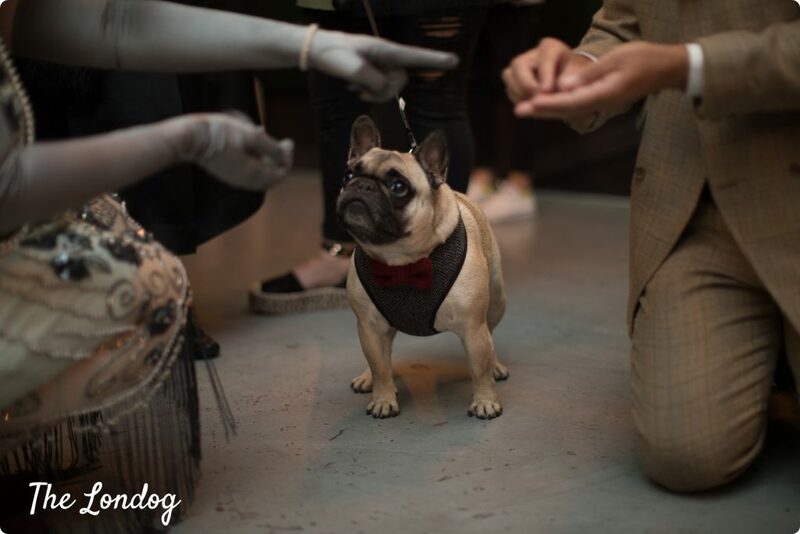 There may have been no dress code required, but a few pooches came pretty dapper, some wearing a bow tie, others with proper dog clothes. 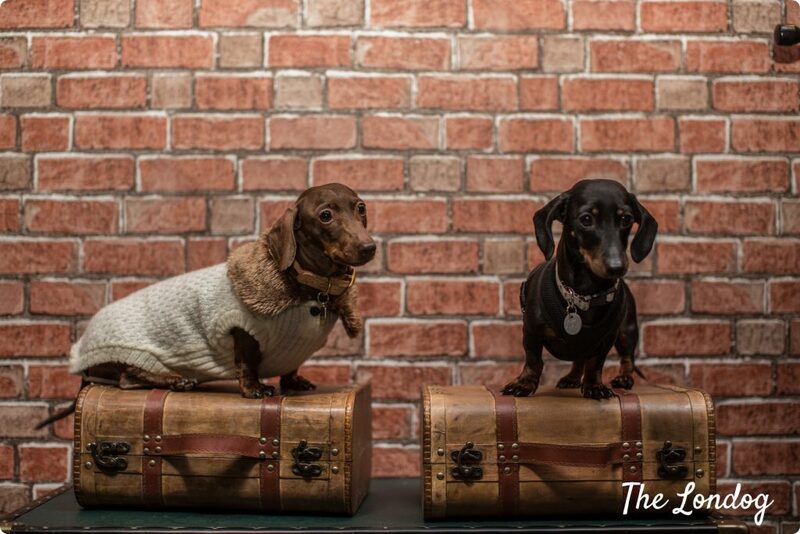 Pops the Sausage – who we already knew from fun dog shows -, as usual was the queen of the party, in her cream sweater with a collar. 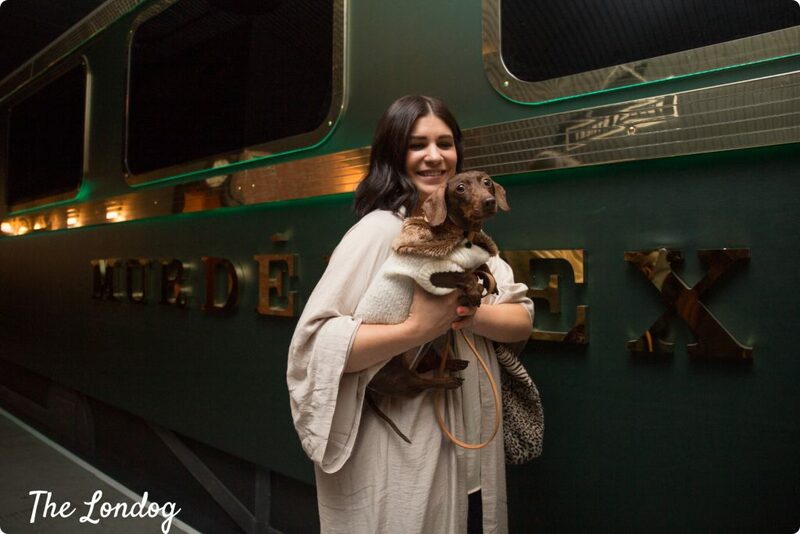 The canine première audience was pampered with dog treats and chews, courtesy of Pooch & Mutt (affiliate link), and Funicular had put some polished water bowls in the waiting area (and later brought one for each dog while on board of the Murdér Express). 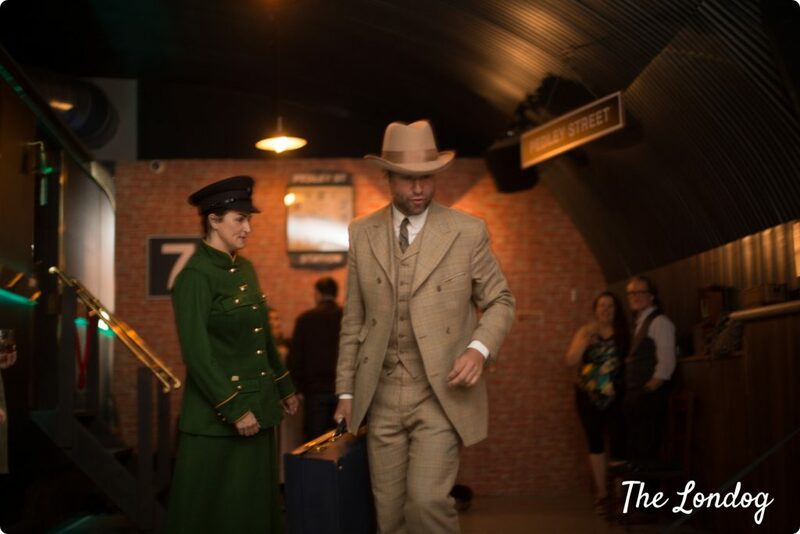 I had never participated to an immersive experience before (apart from the Crystal Maze, but I am not sure that that counts as such), so I was excited to see the hosts arriving. Character Frank the Costermonger, who had a little stockpile of them in his luggage, gave Argo some treats and obviously became his best friend in a millisecond. Soon the conductor whistled telling it was time for us to climb up the carriage and depart towards Murdér, and off we were. As soon as we got on board of the car, I realised that one of my concerns, i.e. that there may have been little space and Argo would have ended a bit squeezed under the table, was completely unfounded! The carriage and the tables were very spacious and comfortable and Argo had all the room for stretching. We had the whole table for our comfort and were ready to depart and dine! And this is the moment I stop recounting about the unfolding of the action, so I don’t spoil it. I will just say that the performance was much fun, and, for the occasion, the actors did also secretly compete at who could fit more dog puns in their acting, which was a fun addition. I also found quite entertaining that Zizi the Yorkie was particularly interested in Fluffy, character Vera’s puppet dog, so she would stand to try and reach her any time she passed by in the aisle. 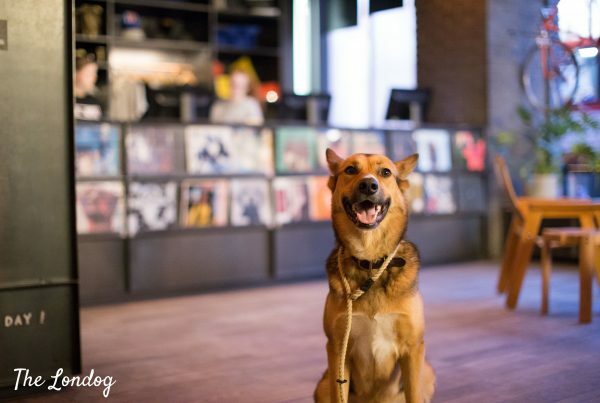 The only thing to consider when deciding pro or against bringing your dog at the experience is that the performance involves screaming and shouting, as well as some sudden noises (such as a fist hit on the table), etc, so it may not be comfortable for all dogs. 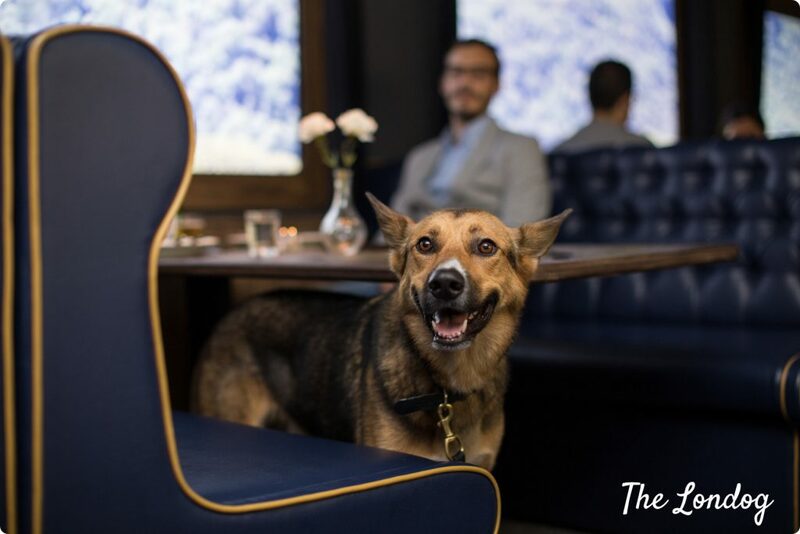 In our case there was no drama: the canine audience was very quiet, with some of the four-legged happily travelling on the lap of their humans, some others on the seat, and Argo finding his spot under the table. I could tell he was a bit concerned during a couple of scenes, but not a big deal. I was surprised that the movement of the train was very realistic, with what looked real scenes from passing trains in the windows-screens of the car. Probably one of the details of the experience that I loved the most. The photos don’t give it justice (it was quite tricky to photograph due to the very little light), so I guess you will have to see yourself. Last but not least, the dinner was very good, and we could tell that they put much attention into both the quality and the presentation of the meal. I loved every little detail on board, from the printed napkins to the beautiful period lamps, the flowers on the table and how gentle the waiters were. It was a very peculiar experience and we loved it from start to end! 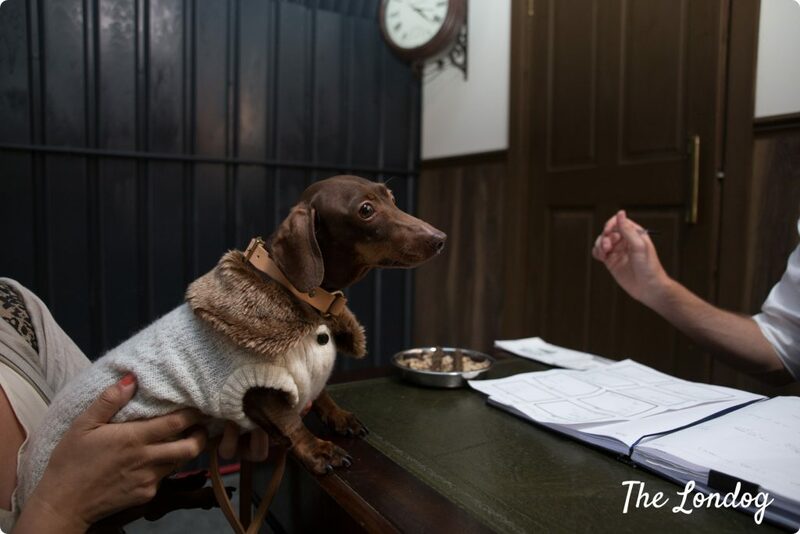 Before the show, Craig explained that they will assess the outcome of the first dog-friendly show before dedicating specific shows to hounds. 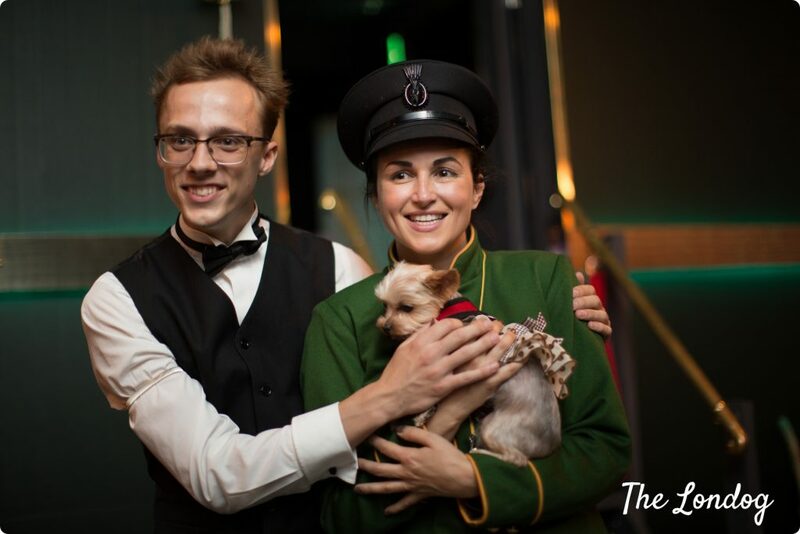 I believe that Sunday’s immersive experience was a big success and the whole Funicular’s team seemed enthusiastic about having a canine audience. 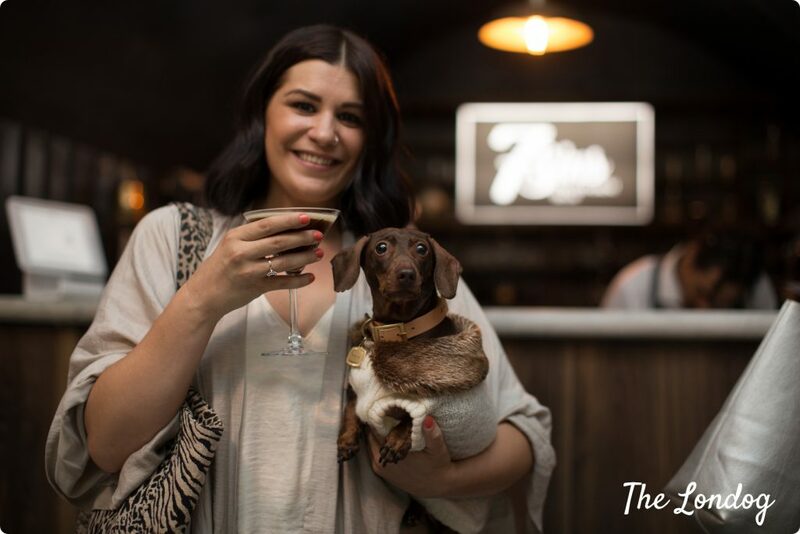 Add that Funicular’s PR manager is also ‘an avid animal lover’ (soon making a debut in agility with her puggle Rudi), so chances are that they will give green light to more special dog-friendly shows. No date has been confirmed yet, but we will keep you up in the loop (on social media and with our Dog Events Calendar features). 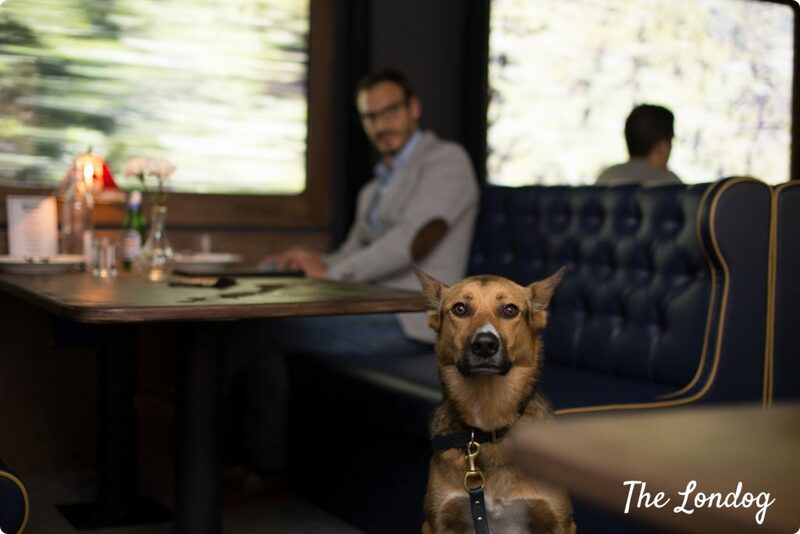 If you cannot wait, you can still participate without your pooch to one of the regular shows booking your ticket here. Prices are from £53 per person (which includes the food, but not drinks) and, at the special dog-friendly shows, dogs go free.
! 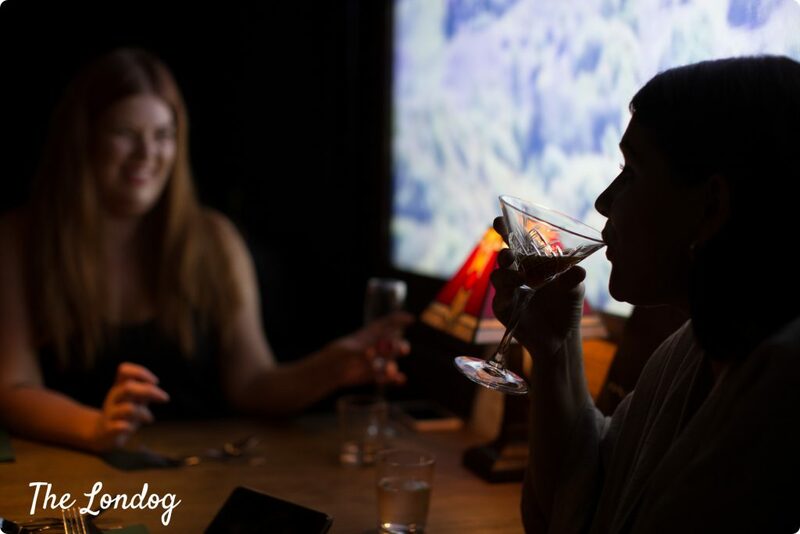 Full photo album on our Facebook page @thelondog ! Disclosure: We were invited to try GoBoat London’s boats. However, this is an independent review and all views are our own.